Version 1.5.2 of the DFDL4S Java and C++ Libraries has been released and can be downloaded here. The following is a summary of the changes in version 1.5.2. Release Notes for can be found here. 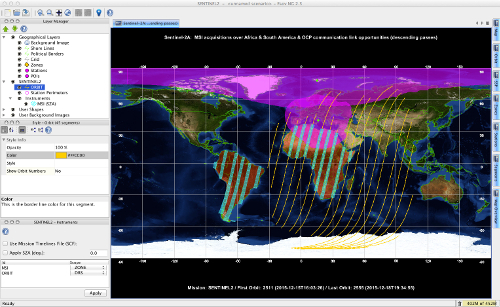 Version 2.5.2 of ESOVNG (Swath and Orbit Visualisation tool) has been released and can be downloaded here. Note: Please check the latest orbit file versions available here. 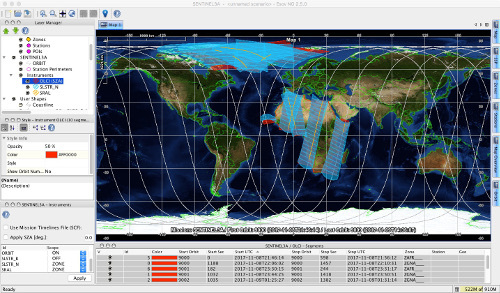 Version 2.5.1 of ESOVNG (Swath and Orbit Visualisation tool) has been released and can be downloaded here.